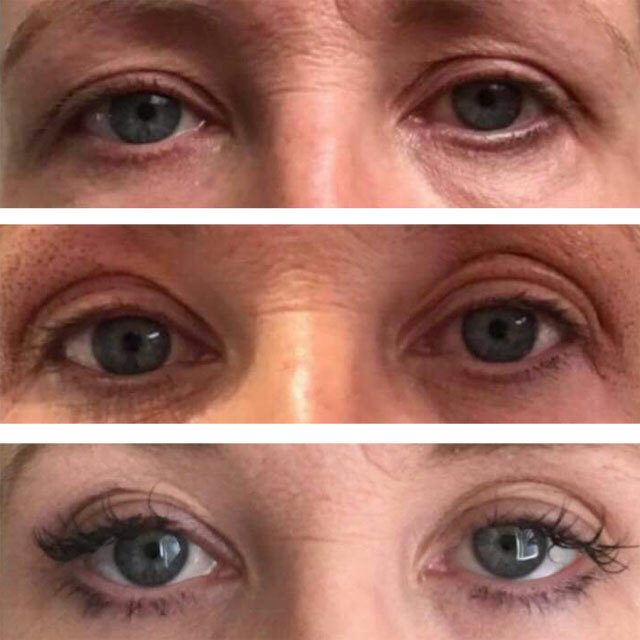 A safer and efficient procedure to lift your eyelids and neck. 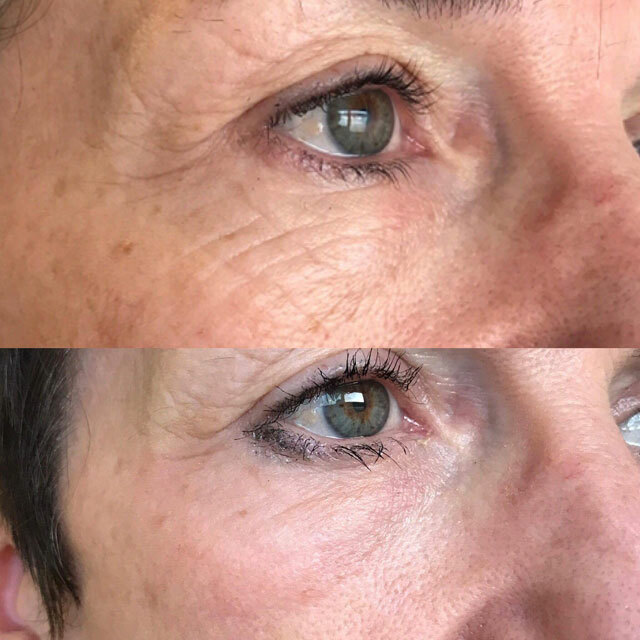 As we get older, our skin starts to lose elasticity and texture, leading to wrinkles and loose skin around the delicate eye area. 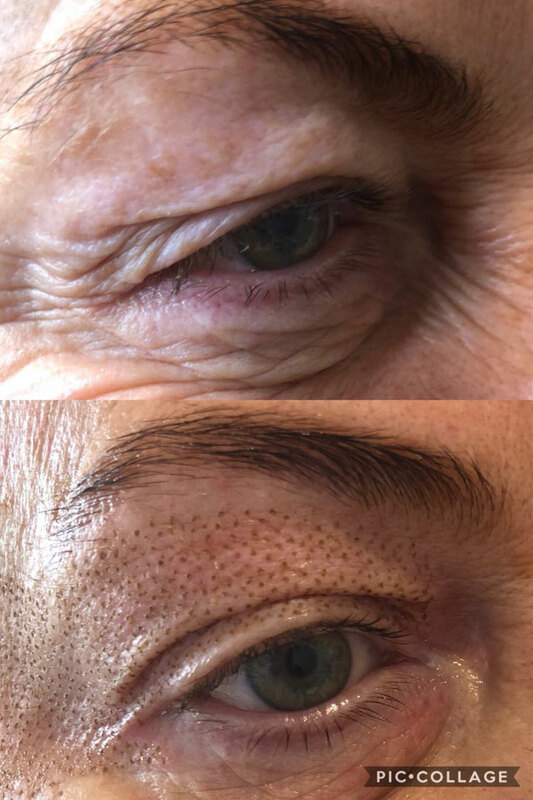 Plasma elite skin tightening is a non-surgical blepharoplasty procedure that will lift your eyelids, giving you a younger-looking appearance. The treatment is also very efficient for crows feet, bags under the eyes, smokers line around the lips, neck and decollete. 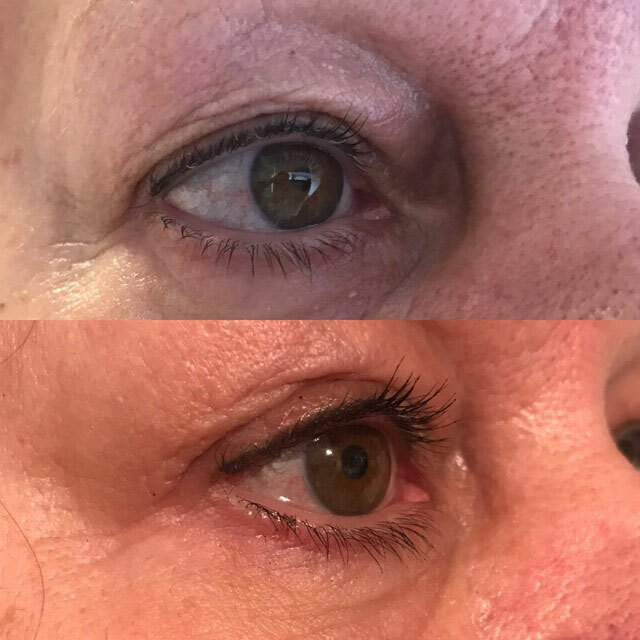 This non-surgical blepharoplasty is known as the ‘non-surgical eyelid lift’, being a safer and effective alternative to invasive cosmetic surgery. 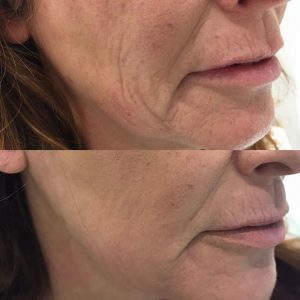 Rather than using lasers or cutting away excess skin, plasma is used to create an arc of electricity that targets superficial skin cells, using precisely applied heat. Ideal for sensitive areas around your eyes. What can the plasma technology treat? 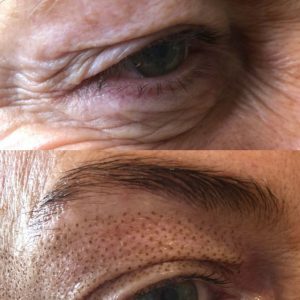 Loose skin on eyes, crepey neck, lip lines, smokers lip lines, crows feet, flattens moles and removes skin tags Soften acne scars. Plasma is the Fourth state of matter (the others being Gas, Liquid & Solids). Plasma is created by electrical energy from the pen which at the right distance from the skin ionises the oxygen and nitrogen in the air to create a small electrical arc, similar to a tiny lightning bolt. When this hits the skin it vaporizes any liquid in the skin at the point of contact, the surrounding skin contracts into the area and tightens around it giving a shrinking and lifting effect. Even though skin layers get vaporised by the plasma (via heating, fragmentation and vaporization), they do not burn off. They simply flake off at a later date as part of the healing process. 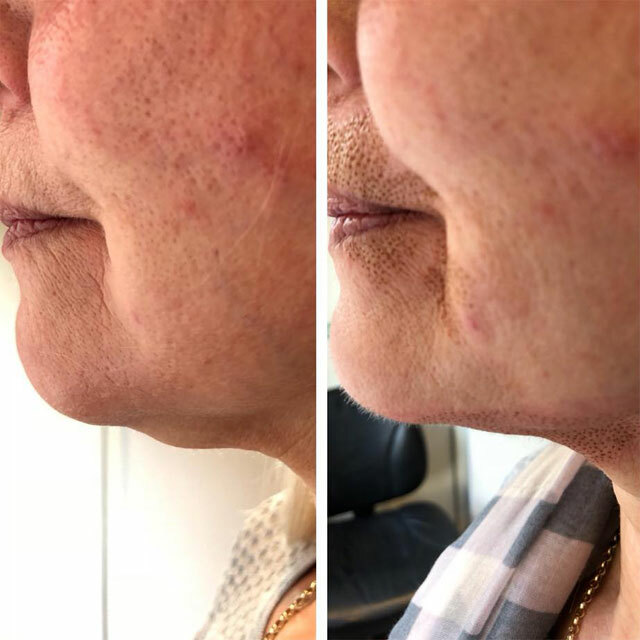 The skin fibroblasts are stimulated to produce new collagen and elastin into the area to heal the skin over the next few weeks giving a further tightening effect. Plasma is formed through ionization of atmospheric gasses – when it arcs on the skin it stimulates instant contraction and tightening of skin fibres this is called sublimation. This technology does not use scalpel or laser to remove excess skin, thereby avoiding all risks inherent to the traditional intervention. The treatment is performed without cutting, burning or removing excess skin or fat. It uses the difference in voltage between the device and a person’s skin to generate a small electrical arc or plasma discharge. The only post-treatment preparation is a 48-hour patch test to check there is no allergic reaction to the numbing cream. You can offer a patch test on the skin of the plasma treatment to determine swelling and healing time if the customer would like this opportunity, but we’d suggest making a small charge for this. It completely depends on the client and the area treated and the natural rate of recovery. It is normal for sensitive areas such as eyelids to become swollen and we would recommend not applying makeup, which to some people this may mean downtime. Some areas weep slightly after treatment; this is simply plasma and is quite natural. As the spots begin to heal they naturally turn into crusts and flake off. There is a treatment aftercare gel provided and if desired a tinted balm. The area must be treated gently for a few days and the crusts must not be picked or knocked off. Dry healing is best.